Alexander Sklyarov was born in 1949 in Voronezh (Russia). He starts very early playing the "bayan" and carries on his musical studies at the very serious Gnessin Institute in Moscow. 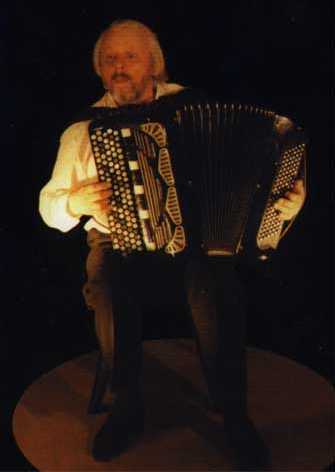 Still a student he wins the World Cup of the Accordion International Confederation in 1971 with the best average marks ever reached (99.78/100 after the three tests of the competition). A career as a concert performer then opens up before him. Since then he has been playing all over the world and his name is assosiated with those of Spivakov, Horovitz and Rostropovich. In 1994 he is awarded the title of "Artist of the People of Russia" by Russian President. A musician with an exeptional sensivity, Alexander Sklyarov makes his audience forget his virtuosity and mastery and carries them away to the very heart of music. His manner of playing is bewitching and fascinating, it captivates and transports us.